Sibling relationships are so complex because while growing up, siblings are both friends and enemies, teammates and competitors. People both play and fight with siblings. As children naturally seek security, attention, and love from parents, it is only normal to perceive brothers and sisters as competitors for these precious parental commodities. It is possible to carry childhood rivalries and differences into adulthood and with it, ambivalent feelings towards them. Sometimes people separate from their siblings completely as adults or become very close friends with their grown-up brothers and sisters. The death of a brother or sister means that they have lost someone who was a part of their formative past. This person shared common memories and childhood experiences with them such as Holidays, family traditions and history. Surviving siblings often experience “Disenfranchised grief” which occurs when a person experiences a loss that is not openly acknowledged, publicly mourned, or socially supported. The relationship is deemed unimportant, replaceable, or is even stigmatized. As a result, the bereaved are not given full permission to grieve the loss publicly. 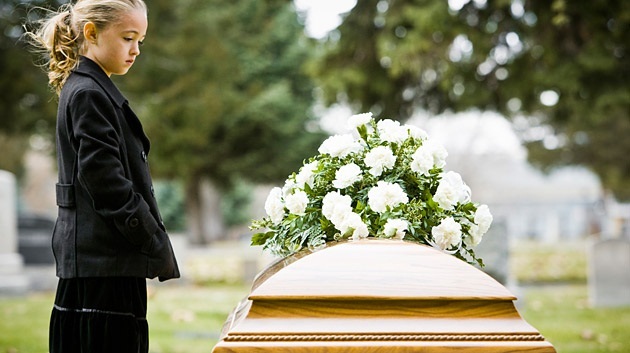 The bereaved person is expected to resume his or her life as though nothing has happened. The adult sibling relationship is one that is overlooked not only by society, but also in the fields of psychology and medicine. Despite the longevity of adult sibling relationships, surviving siblings are often made to feel as if their grief is somehow unwarranted. When an adult sibling dies, he or she often leaves behind parents, a spouse, and even children—the myth goes that it is they who suffer the greatest loss. The truth is that even when they have not spent much time together as adults— siblings often have profoundly strong attachments to one another. Discouraging communication or expressing feelings. Making rude or insensitive comments. Expressing inappropriate expectations about the person’s grief responses. Honoring the sibling is both a way to express grief and to remember what was special about them. Set up a charity donation in their name, create a space for them in the local community like planting a garden or putting a plaque on a bench, or even carry on with something your sibling loved to do or left unfinished. Remind them that they will not recover from grief but they will become “reconciled” to grief, meaning they will learn to live with it and will be forever changed by it. Reconciliation comes by actively expressing and receiving support for grief. Tell them to find someone who will listen without judging while they talk about their grief. Cry, journal, make art, or find things to do that help express grief in ways that matter to them. Remind them to not get rid of objects that remind them of the sibling who died. If they need to box some of them up for a time that’s fine and then later, when they are ready, they will likely find that those same objects may bring sadness, some happiness, some sappiness (happy and sad at the same time). While these objects may evoke painful feelings, they are healing feelings and will help them embrace the pain of loss and move toward reconciliation. Remind them that they are not alone, not forgotten, and that their grief matters. Encourage them to forgive themselves for any unkind things they did or said, or for things they wish they had done or said but did not, or for not maintaining a close enough relationship with their sibling. It does not mean they did not love them. Children respond to the death of a sibling with a wide range of feelings and there is often survivor’s guilt. How come this happened to their brother or sister and not to them? This grief is different from the bereavement seen in adults and needs to be understood in a developmental context. Cognitive and emotional understanding of death and dying in children gradually evolves with age. It is important to understand risk factors for complicated grief, the warning signs of depression and anxiety beyond normal grief reaction, and intervention in children. When a sibling dies, those siblings left behind, no matter their ages, are considered secondary mourners to the parents and/or if the sibling who died had a spouse and children. For those siblings still living at home, the loss of a sibling becomes a double loss. They will “lose” their parents for some time as the parents grieve the death of the deceased child. Parents can become so engrossed in their grief that they forget their living children still need reassurance they are loved and wanted. Kids will often say that they were left out and that everyone comforted their parents but no one came to ask them how they were dealing with the loss. After the death of a child, there is a tendency for parents to become over-protective and allow them to take fewer risks. So the surviving child not only has to deal with his own trauma but also the constraints the parents put on their growth. This over protectiveness can even interfere with the child’s future relationships. The loss of a sibling creates a huge change in a child’s environment. The chances of marital breakup are high after the death of a child. In other cases, parents may try to replace the dead child by having another and will dote on the new baby more than the surviving sibling or parents try to push the surviving sibling into the role of the dead child. When that happens, a child may either rebel or distort his own personality to accommodate his parents. No child can live up to the idealized memory of his dead brother or sister. Make sure that surviving children get enough attention from relatives, family, and friends. When children lose a sibling they often feel abandoned by society. The sympathy goes to their parents, or the deceased sibling’s spouse and children, but brothers and sisters are not as supported. Encourage families to allow their children to see their parents emotions. This way the child understands that it’s okay to express their own feelings. Validate their emotions. When society fails to validate the grief and sadness of siblings, they do not receive the support necessary to heal. Children especially, express pain and loss differently than adults do. A child might cry for two or three minutes and then be done and go to play. Adults should not minimize a child’s sense of loss just because they don’t express constant sadness. Abstain from rigid ideas about how long grief should last. Telling a child to get over their grief too soon may force them to suppress their feelings, which can later on erupt into explosive behavior like fighting with family, friends, or classmates. Remind them that the death of their sibling is not their fault. Maybe the sibling believes they caused the death or perceived that he or she did something to contribute to the death, or thinks again and again about all the possible factors that could have somehow contributed to the death. Check out this article by Grief Link for disenfranchised grievers, focusing on adult surviving siblings as a distinctive sub-group of the bereaved, and examination of the effects of disenfranchisement from individual and larger systems viewpoints. To be “bereaved” literally means “to be torn apart” and “to have special needs.” The AAB exists as an organization to provide wide and varied resources, designed to help expand your knowledge about topics within the realm of long term and bereavement care. Join us so that you can share in the benefits of membership, from worldwide events to local learning opportunities in your area.